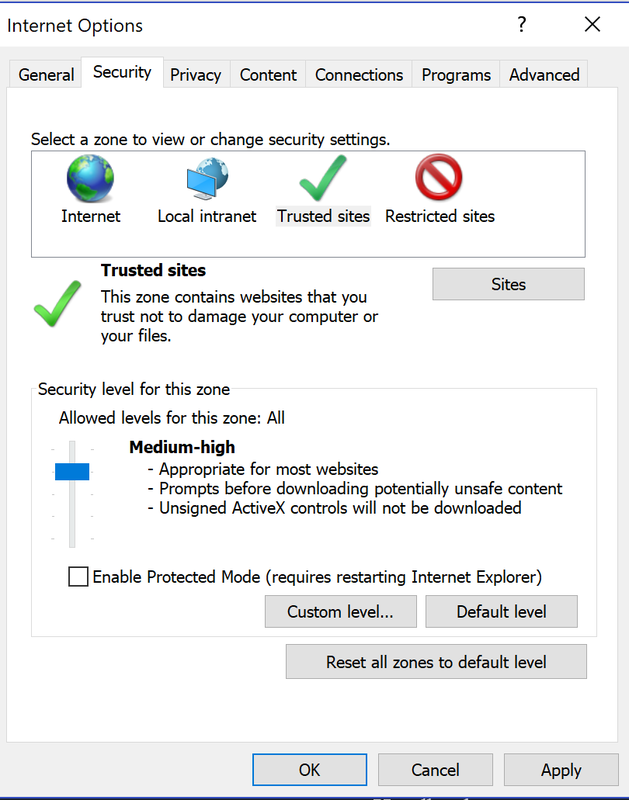 If you are using Internet Explorer, you can go to Settings -> Internet Options, and set the site to "Trusted" (or any setting at Medium-High or lower). Your organization must be licensed to be able to access certain areas of the website. These include Compliance Concierge Software Releases and Updates, Forms Library and Instructions (eSatellite Manuals) and Blank Forms. Authorization may take one full business day. Which products do you need access to?